Join us in February for our newest Block of the Month. 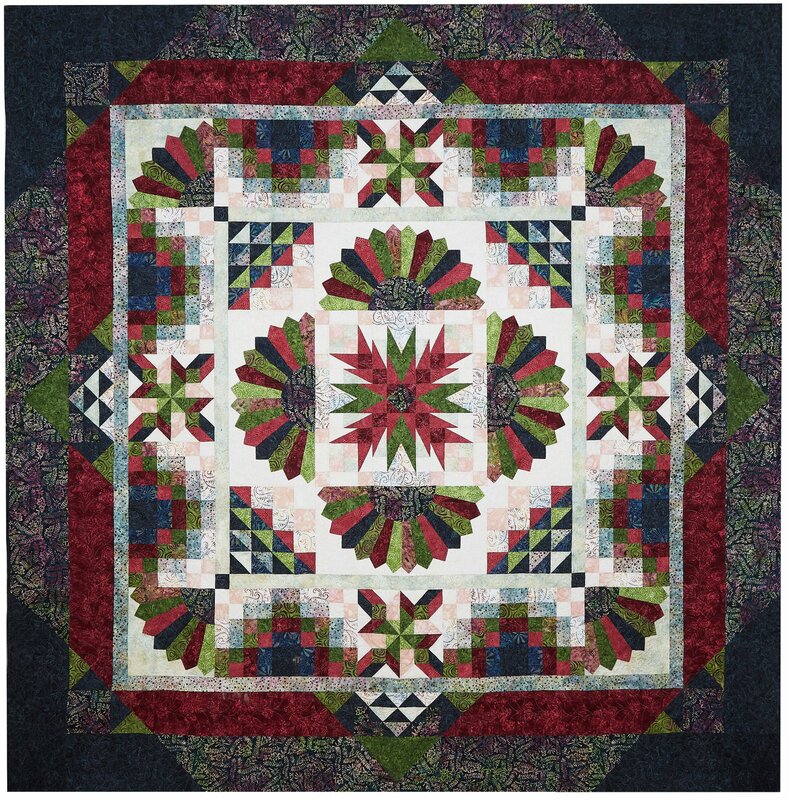 Wing and a Prayer Design has created another beautiful quilt, using Timeless Treasures Tonga Lush collection. This gorgeous quilt is 108” square using fourteen beautiful fabrics. The colors range from creams to soft blush, rose into burgundy and vivid greens all nested in a navy base. This BOM we will learn some new piecing techniques and explore some new rulers. We will meet each month on the Second Saturday for a lecture/demo class. Each month, for ten months, you will receive your fabric kit with pattern and we will review piecing techniques for your monthly assigned blocks. This is a great way to tackle a large quilt broken down into manageable pieces. Keeping up with your monthly homework will help you finish this large quilt with ease. If you have participated in one of our Block of the Months in the past you know you will go home with a toolbox of resources to complete this quilt. We look forward to having you join us. If you are unable to join us for class, but would like the quilt kit, please let us know.